So you’re in search of the perfect office telephone with a headset to go with it. There are so many brands, models, features – it feels as if it’s almost impossible to make an informed decision. Especially since you need to mix and match telephone and headset while keeping everything compatible. 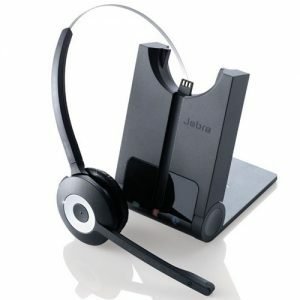 This article will aid you in finding the perfect headsets and compatible telephones for your office. Many business owners don’t think about the impact of the telephones they choose and go for the cheapest option. But with this guide, this will not be a pitfall for you, as the telephones and headsets you use will make a significant impact on the service you provide to customers. 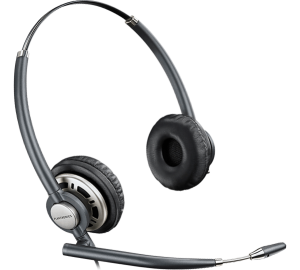 Well chosen headsets can also impact your agents’ performance, and quality phones will mean fewer replacements. 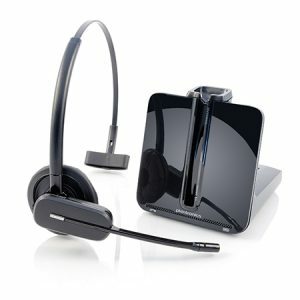 There are a few things to consider and the question before delving in to search for the right office telephones and headsets for your business. Cost -what is your total budget? A number of agents – how many phones will you need? Call rates – how much time will your agents spend on calls? Will you be using an IP phone system or traditional phone lines? Who is your telephony system supplier? What are you using the office telephones for? Training – Will agents have the technical skills to use your phone system? Or will they need training? Maintenance – do you have the in-house expertise or would a service contract be the best option? Today’s telephone systems provide you with a better way to connect – with mobility, conferencing, email, and messaging. Bringing all of these tools together means increased productivity. We will present the telephone and headset options together because it is essential that you have fully integrable products. Best phone and headset pairings for small businesses. 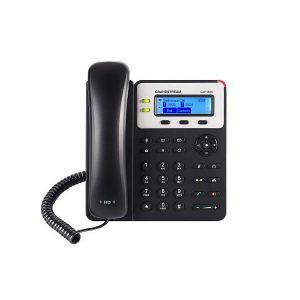 Avaya’s 9641G IP phone is great if your budget is tight, but you still want a quality phone with plenty of features. The compatible Plantronics headset is both comfortable and delivers high-quality audio so that you can use it all day. 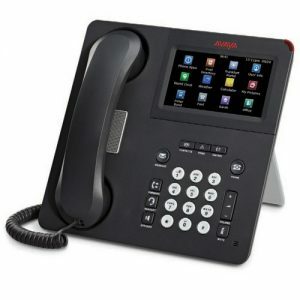 The reason the Avaya’s 9641G IP phone is #1 on our list for entry-level office telephones is due to its scalability. If your business grows, you won’t have to invest in a brand new office phone system, as you can connect up to 1000 Avaya 9641G phones into your system. 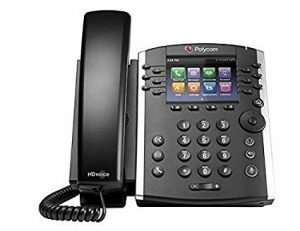 The Polycom VVX 301 is a powerful entry-level office telephone which will suit you well if you are receiving a low to a moderate volume of calls. It will work with your existing network without you needing to upgrade your call control platform. This expendable media phone is a cost-effective solution to any entry-level business due to their simple set up, ease of use, and management. 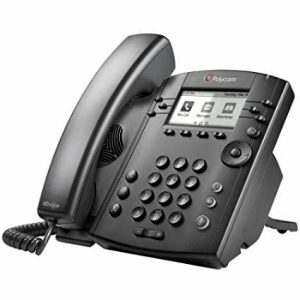 The Polycom VVX 300 series also allows you to utilise third-party Web-based UC and productivity applications. This pair is the perfect option if you are budget conscious. With the Grandstream GPX 1625you might be sold on price already, but there is more to love. The Grandstream GPX 1625 is a reliable IP phone, and it is is also easy to use. It will likely have all you need if you are running a small business. Combined with this quality entry level Streamline ProV headset, your team will be good to go. 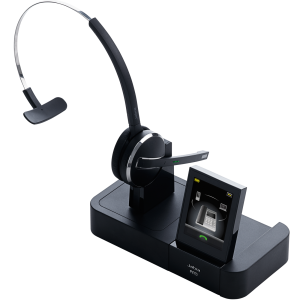 The Polycom VVX 401 with a Jabra Pro headset will be a great addition to any medium-sized business. This powerful media phone can be easily integrated with third-party UC and productivity applications. It is easy to use, so will be a breeze for you and your agents to navigate. And with the Jabra Pro 920 headset, you will be freed from your desk, with excellent sound quality, wherever you are in your office. This combo does it all, as well as being able to make calls; you can access a whole range of web applications. 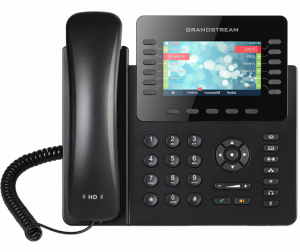 The Grandstream GS-GXP2170 is the best Mid-Enterprise level phone out there. This means that it could be the perfect fit for your mid-level business, as you will not have to replace your entire telephone system as your business grows. This surprisingly affordable phone also supports Gigabit speeds, and 32 virtual BLF/speed-dial keys making it ideal for your busy agents. 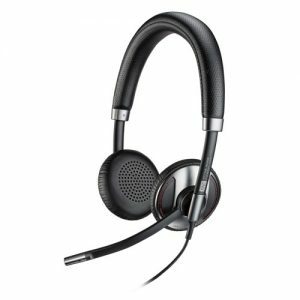 Combined with the high-tech Sennheiser headsets, your team will be ready to make sales and support customers all day. 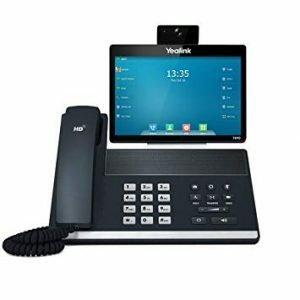 The Yealink SIP-T48G comes with a large Optima HD technology touch panel that allows you to switch between screens and apps seamlessly and provides you with a rich visual experience. It also supports Gigabit Ethernet to facilitate rapid call handling. 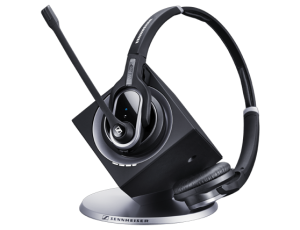 The phone itself comes with a headset, but to make the most of the Bluetooth headset functionality, you can add the Sennheiser MB Pro to complete your system. 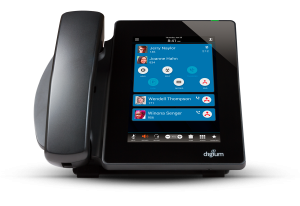 This revolutionary executive level office phone from Digium doesn’t have any keys; instead, it has a giant touchscreen, just like a mobile phone. Despite looking a bit “techie”, Digium has made sure this phone is easy to use. It also provides touchscreen access to advanced phone applications. Combined with a Jabra Pro 9400 series headset, you will have visual access to everything; even your headset will have its little touchscreen. 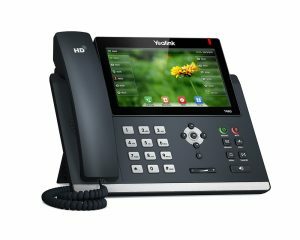 Hailing as an Executive level revolutionary video collaboration IP phone, the Yealink SIP VP-T49G (what a mouthful!) is pricey, but worth it. Featuring an 8-inch touchscreen, and Full-HD 1080p30 camera for video calling, this phone is less of a phone, and more of a computer. 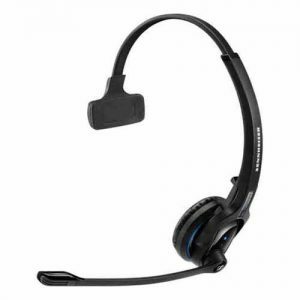 Combine this with high quality, comfortable headsets like the Plantronics CS540 and communications will be a dream. Panasonic has managed to pack many features into the Panasonic KX-UT670. Not only does this incredible phone connect to Gmail, but it also supports application development. This could be the perfect option if you are running a hotel or restaurant as you can develop your interface and applications for the phone. 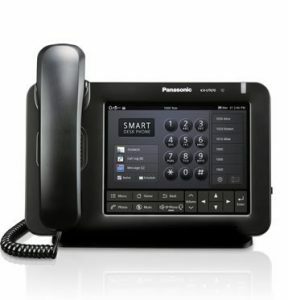 The Panasonic KX-UT670 is based on open-source software so that you can build on your phone’s existing technology. The only downside is that this phone doesn’t have Bluetooth. So it has been paired with a wireless headset combined with an EHS adaptor, so you can still get wireless calling freedom. Choosing a phone can be daunting, which one is right for your business? Should you prioritise adaptability to future growth or focus on affordability and what you need now? 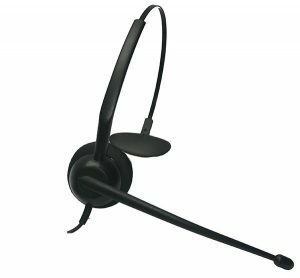 With so many telephone headset pairs available, there is an option here that will meet all of your needs. As you have seen, there are some very advanced phones available at great prices. As for headsets, you know that an uncomfortable headset or one with bad sound quality will drive your team crazy. It is worth investing in good quality headsets if your team are on the phone all day. If possible try some out before you commit to buying a large number. Now that you have found a pair that suits your requirements get quotes from a variety of phone suppliers using the quote comparison tool.